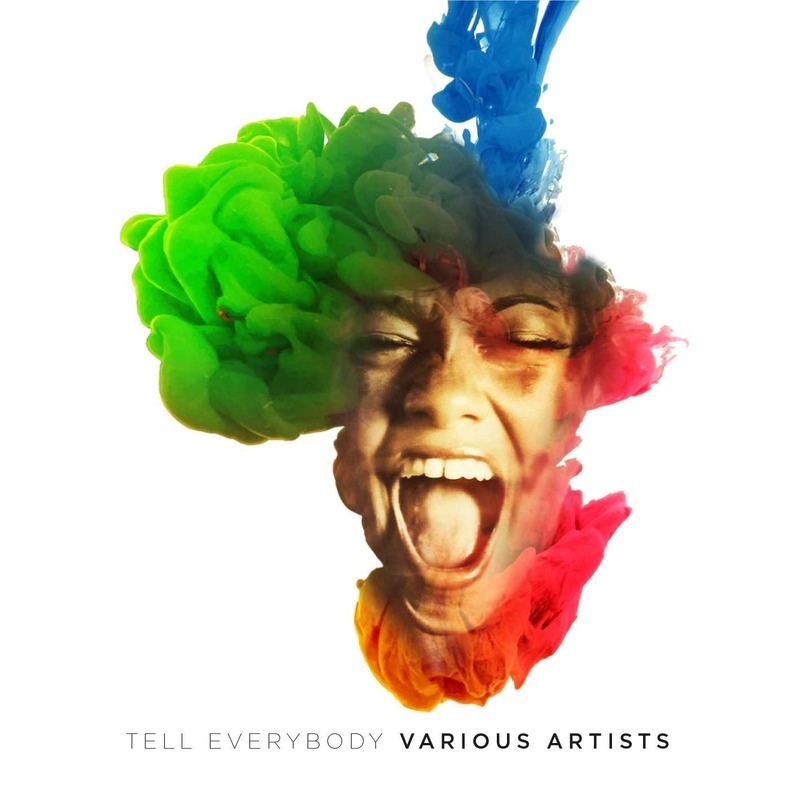 TELL EVERYONE - Africa’s first-ever crowdsourced song. 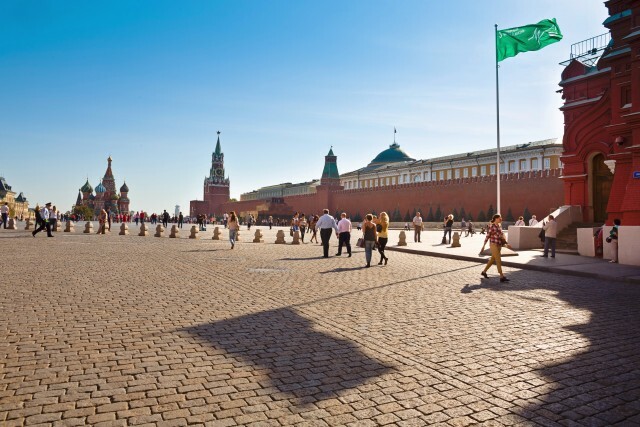 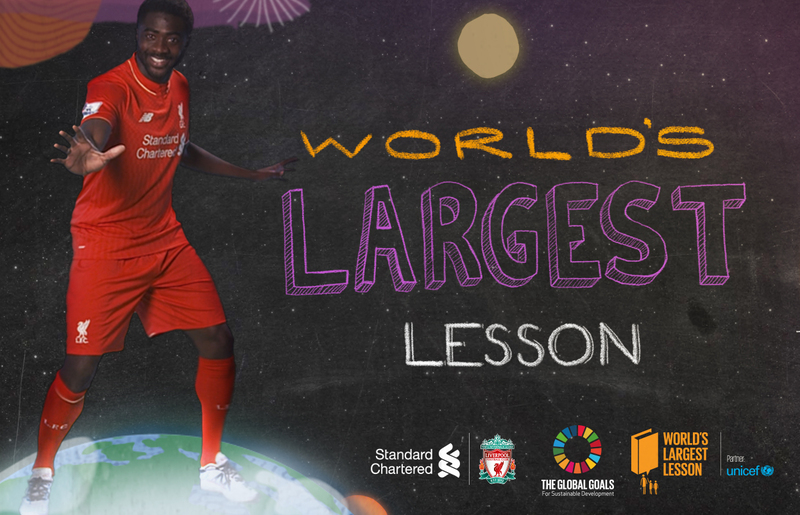 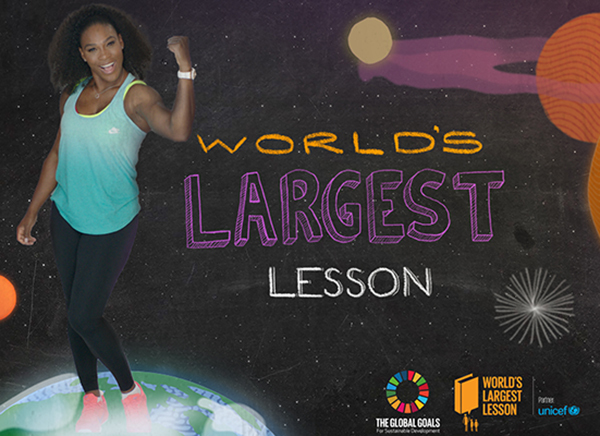 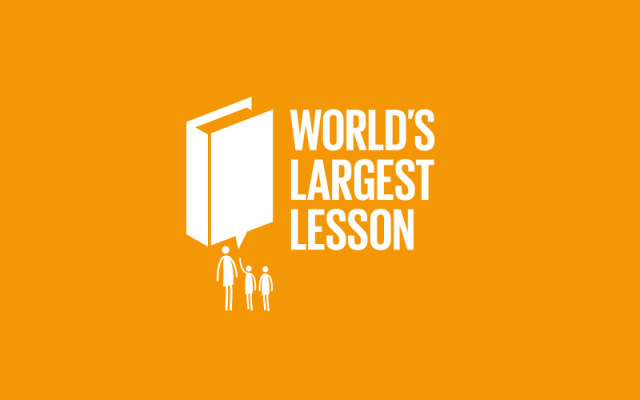 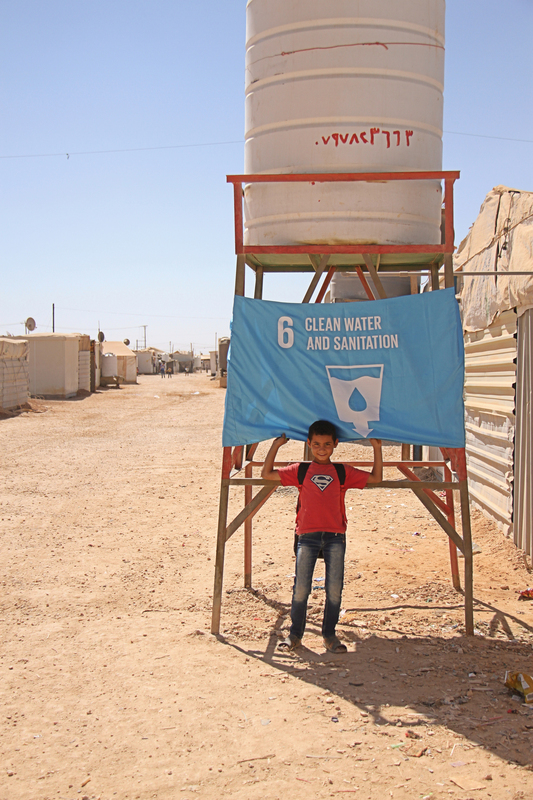 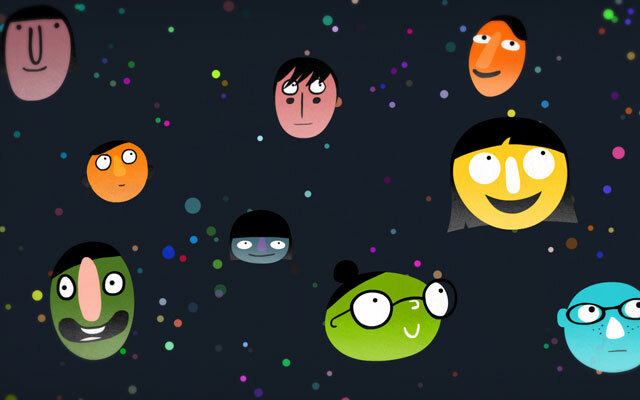 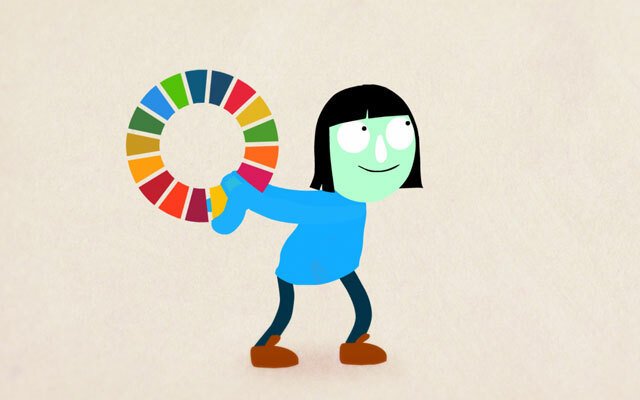 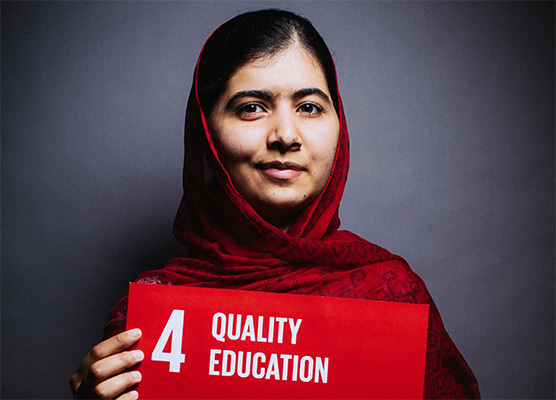 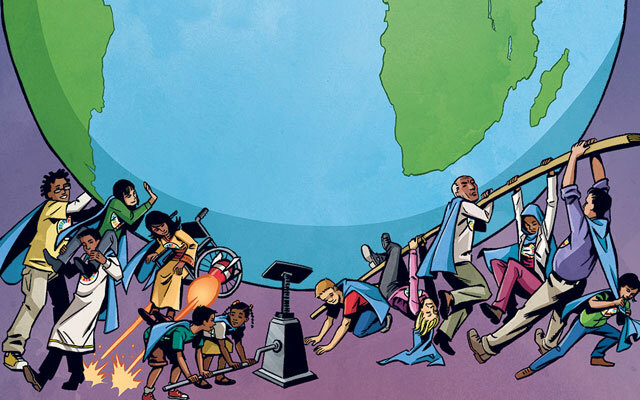 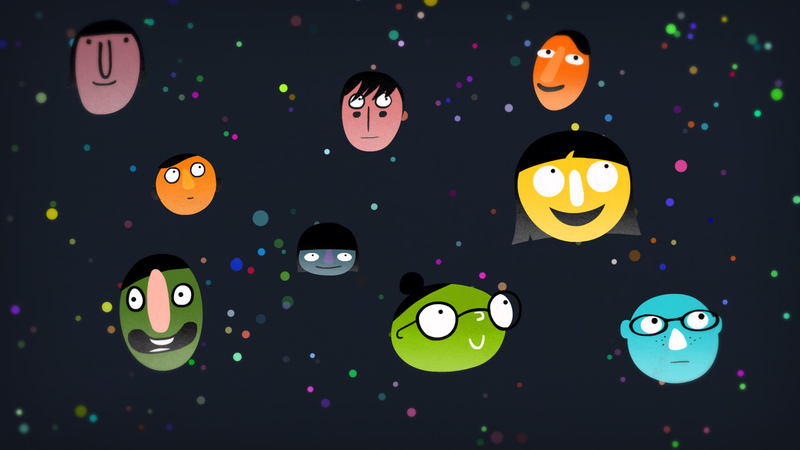 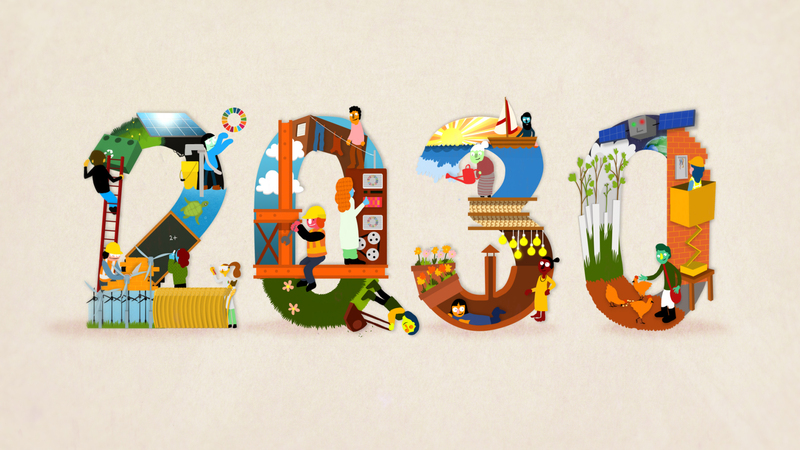 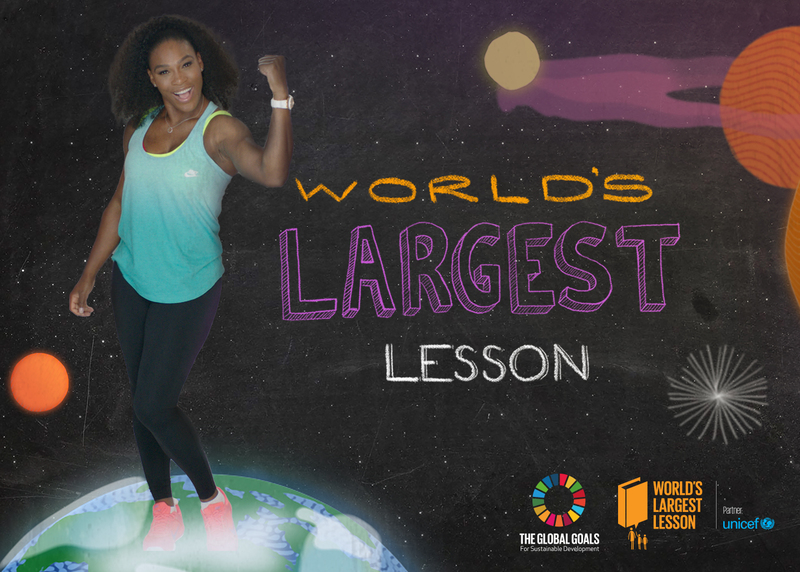 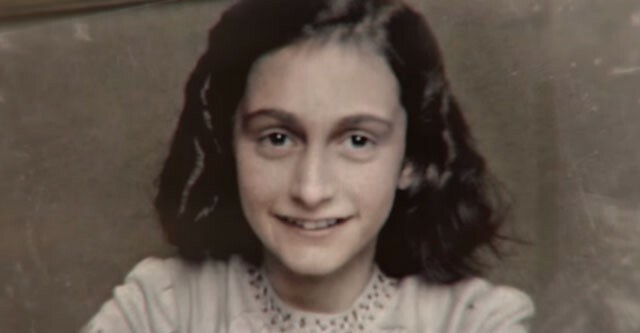 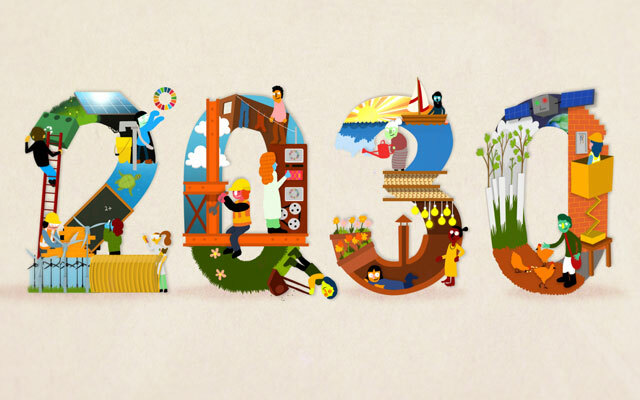 Today, the Global Goals campaign and UNICEF launched the World’s Largest Lesson, an initiative to teach children in over 100 countries about the new Sustainable Development Goals that will be adopted by the UN General Assembly later this month. 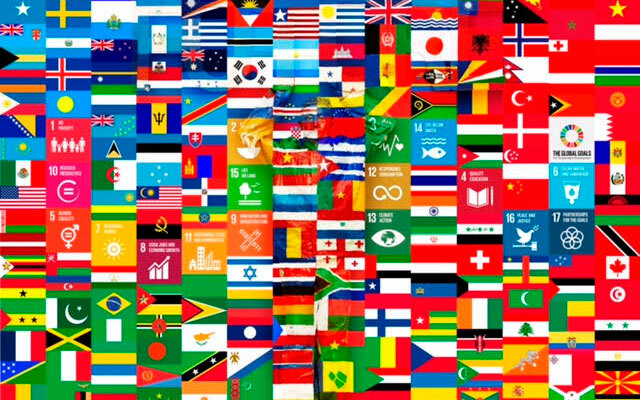 'WE THE PEOPLE’ – Add Your Voice! 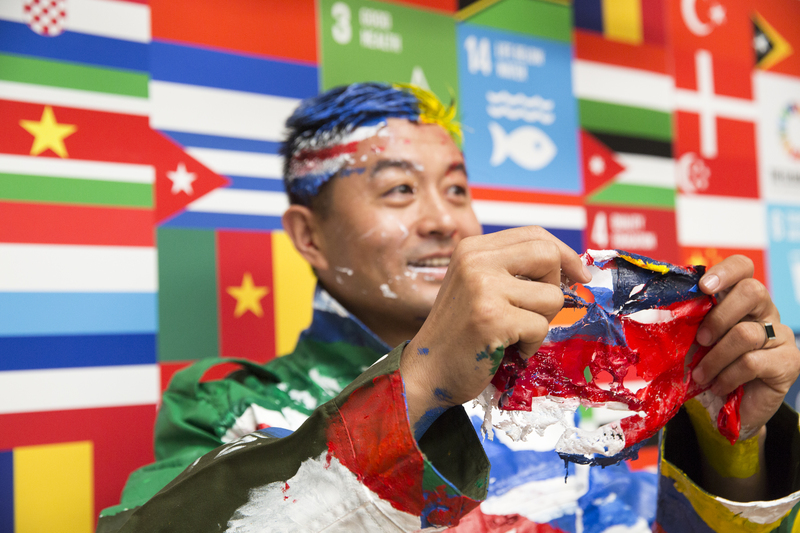 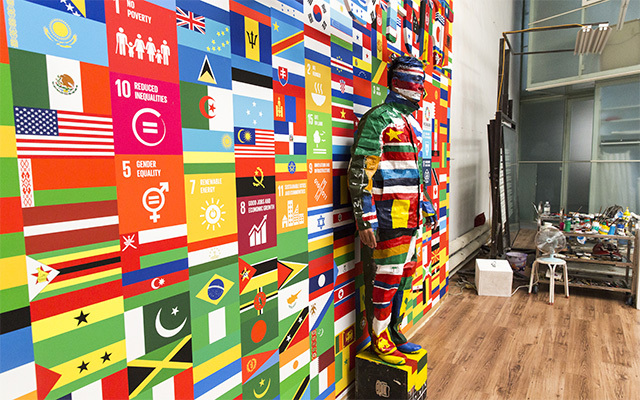 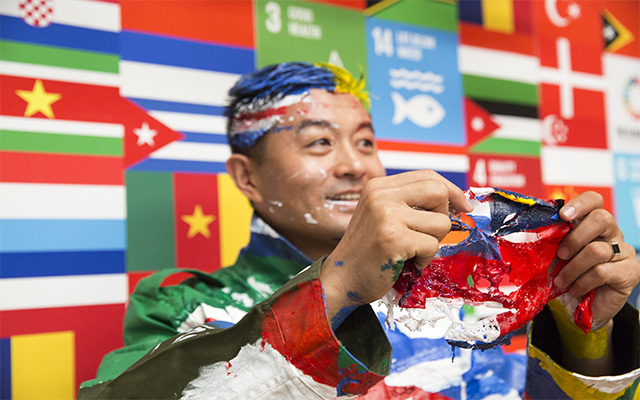 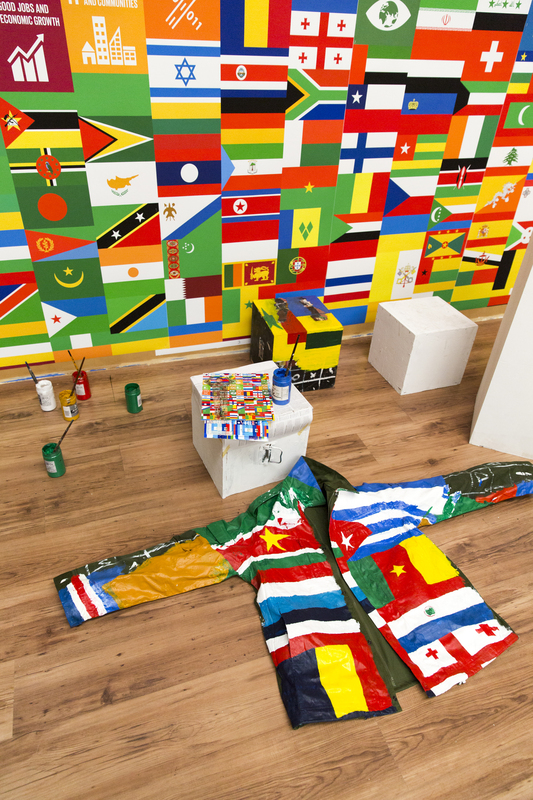 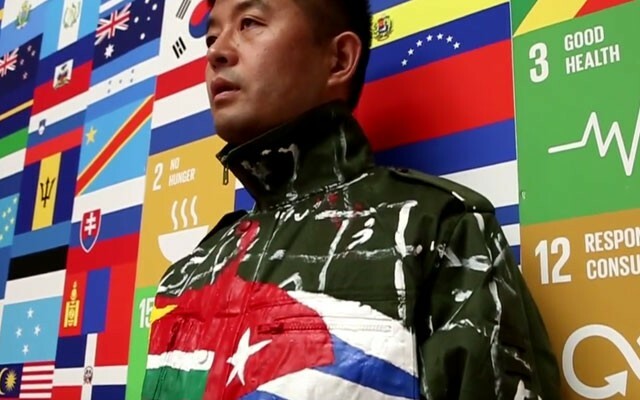 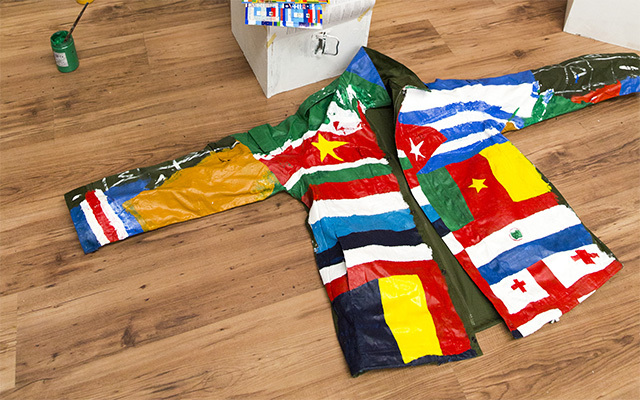 Liu Bolin creates a special artwork 'The Future' to raise awareness of the UN's Global Goals to end extreme poverty and fight inequality, injustice and climate change. 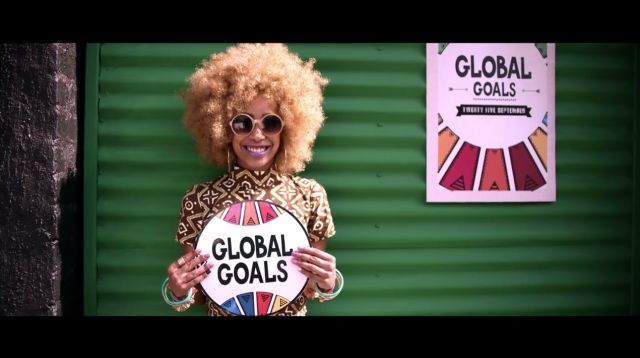 Africa’s first crowdsourced song launches to help inspire young people to know their rights. 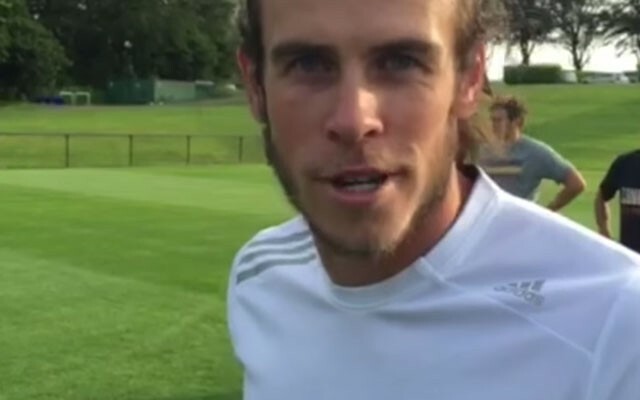 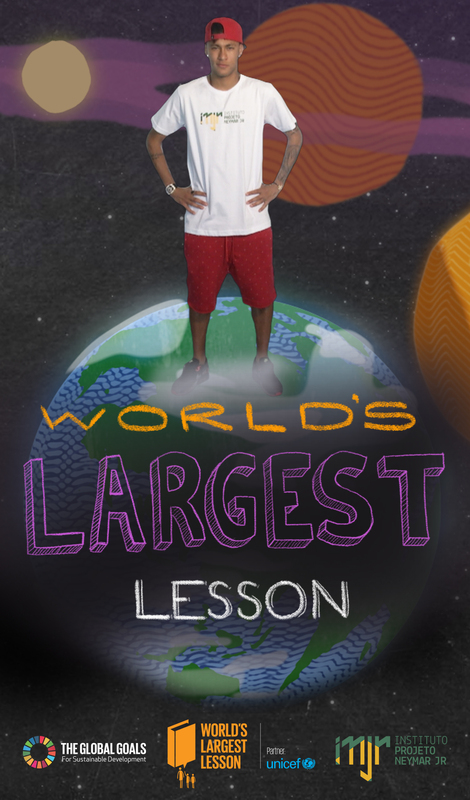 Neymar Jr supports the World’s Largest Lesson. 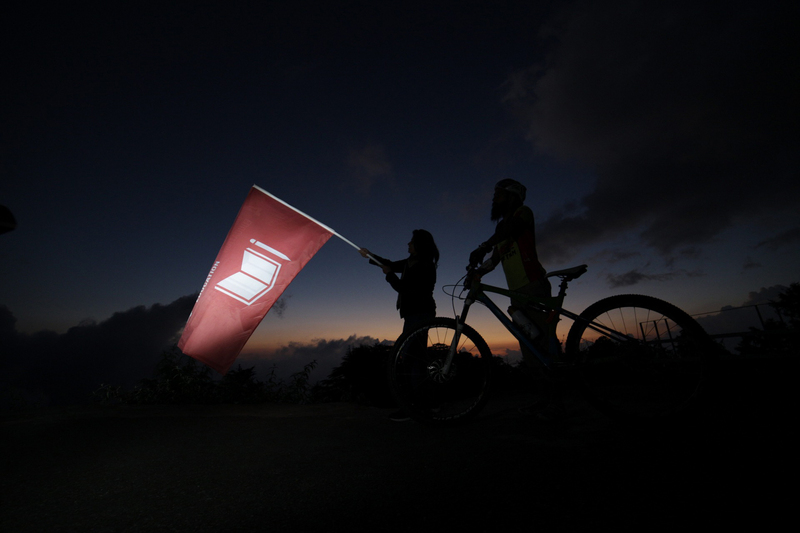 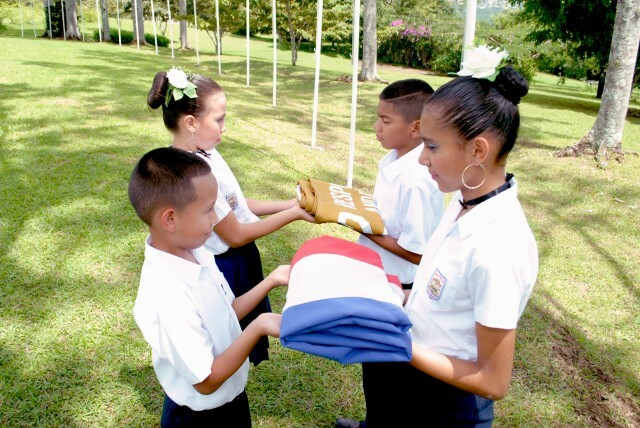 School children from Escuela Central San Sebastián in San Jose raised a flag to represent Goal 12, Responsible Consumption and Production, at the University for PEACE Campus in Costa Rica, to support the UN Global Goals for Sustainable Development. 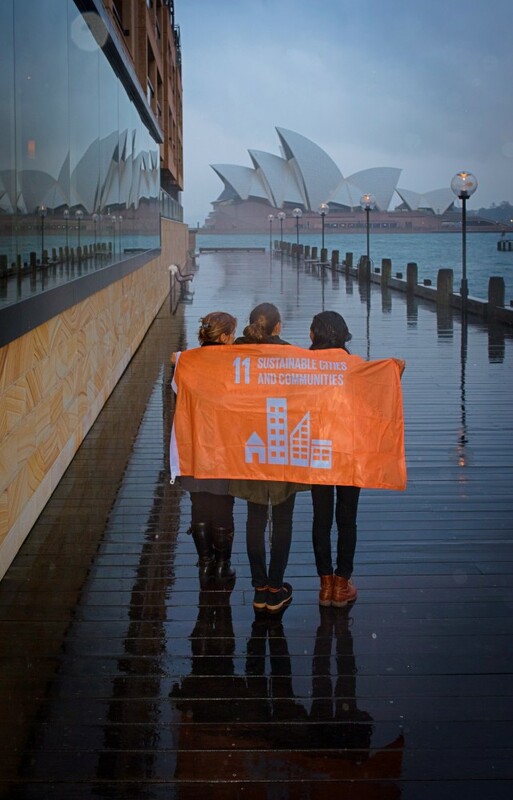 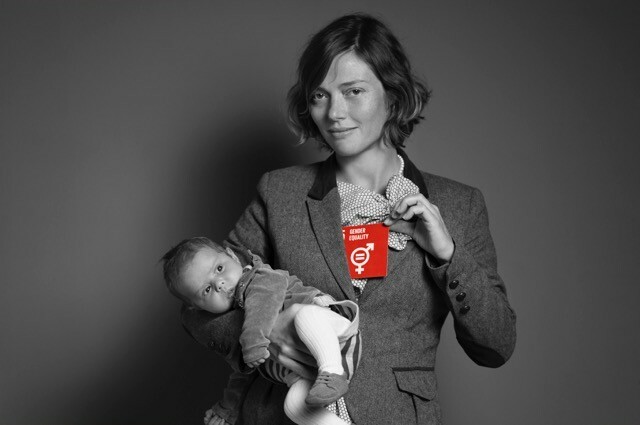 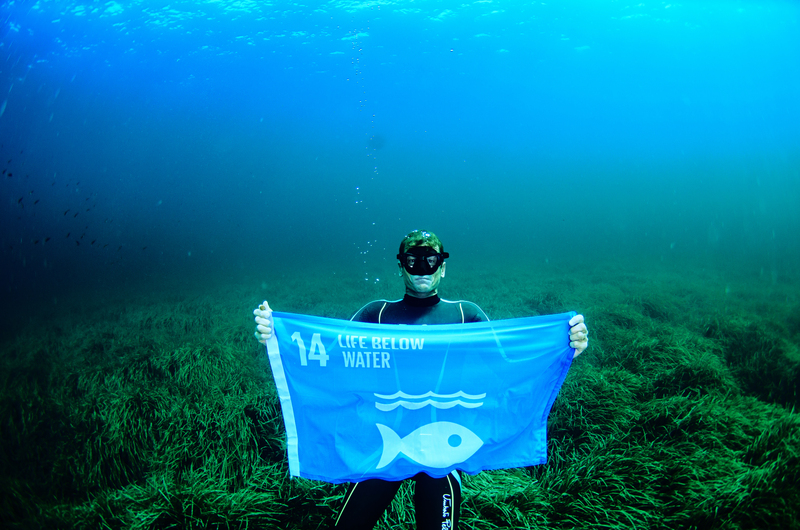 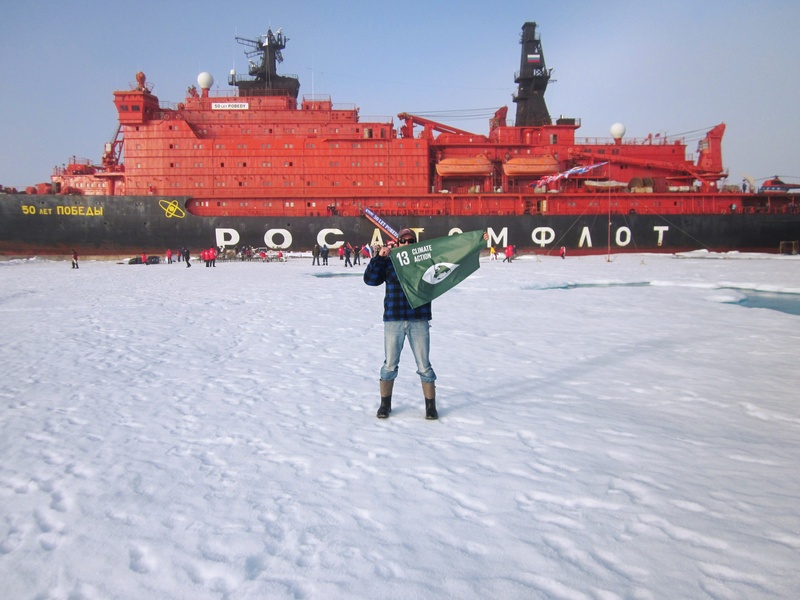 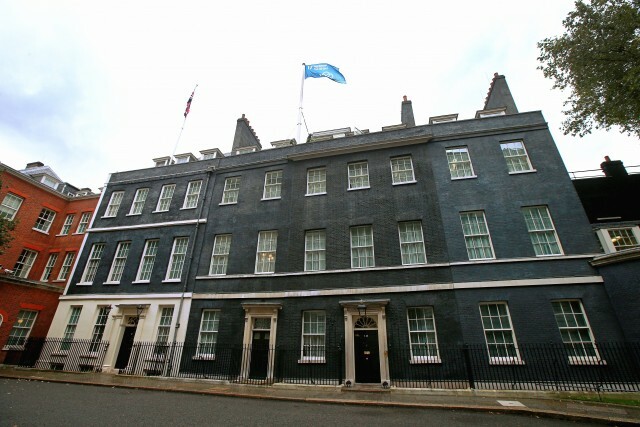 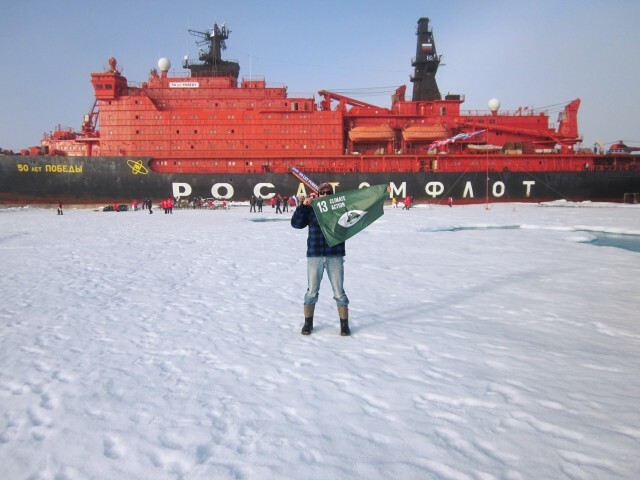 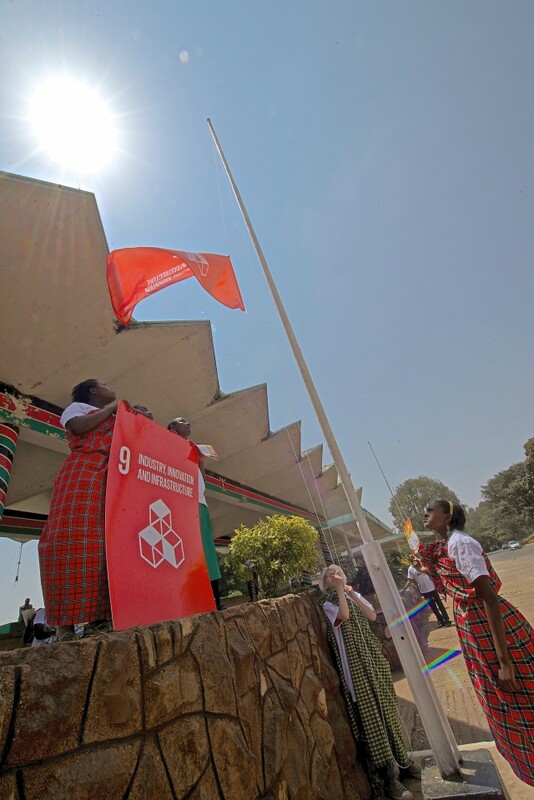 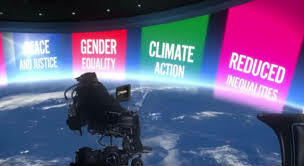 Explorer Inge Solheim, raised a flag, representing Goal 13, Climate Action, in the community closest to the North Pole, to support the UN Global Goals for Sustainable Development. 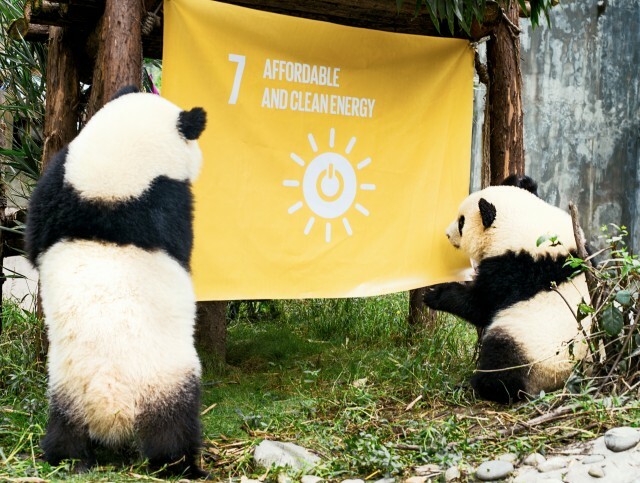 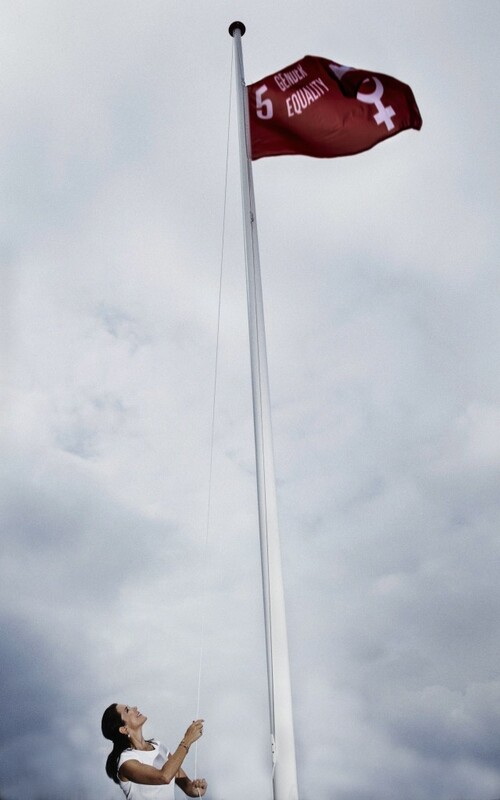 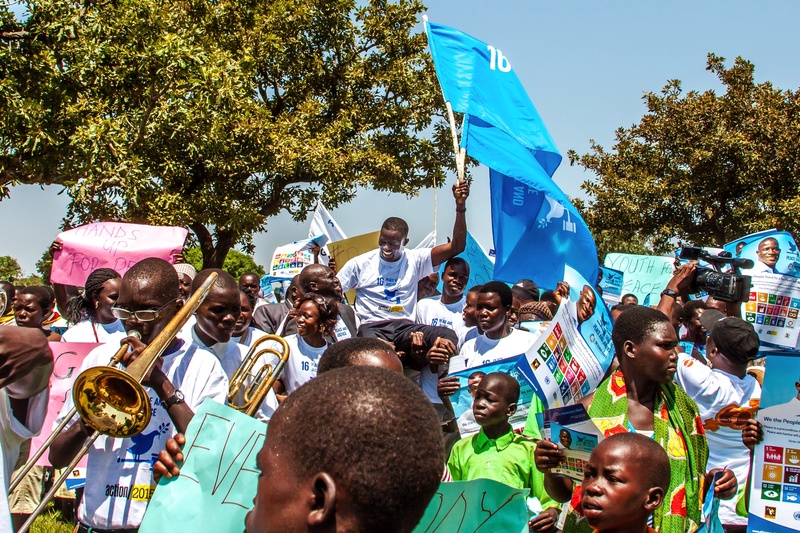 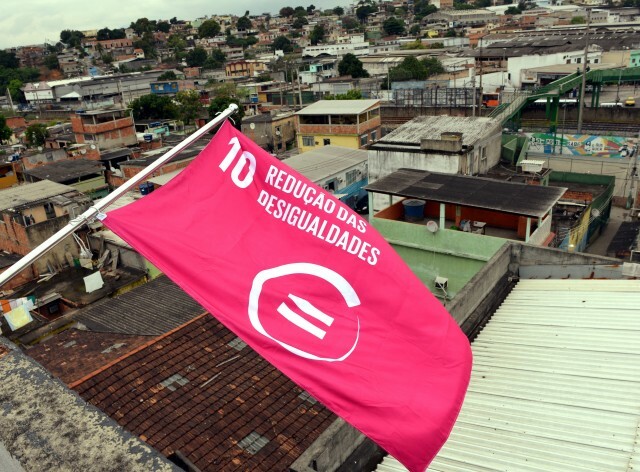 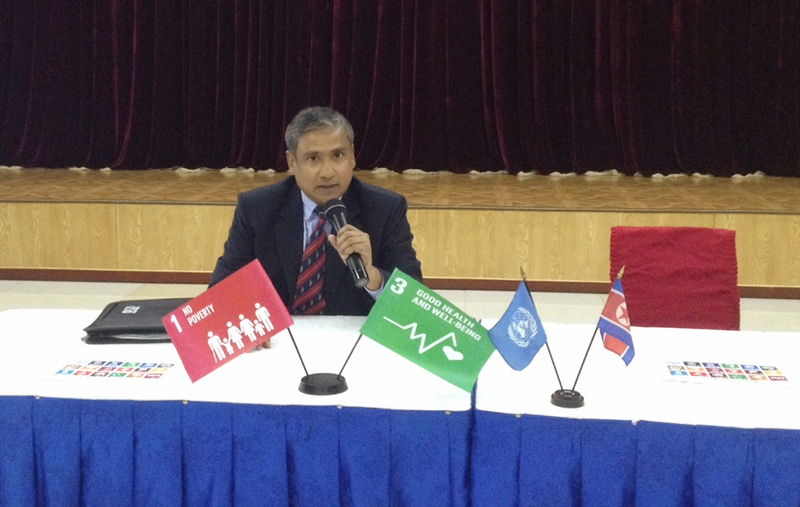 A UNDP representative raised a flag to represent Goal 1, No Poverty, is raised in Pyongyang, North Korea, to support the UN Global Goals for Sustainable Development. 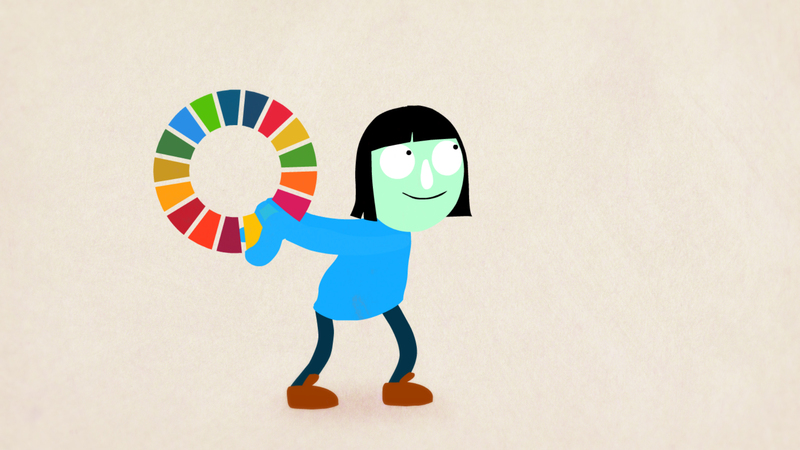 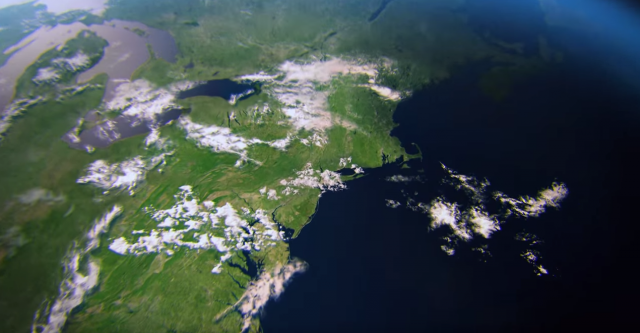 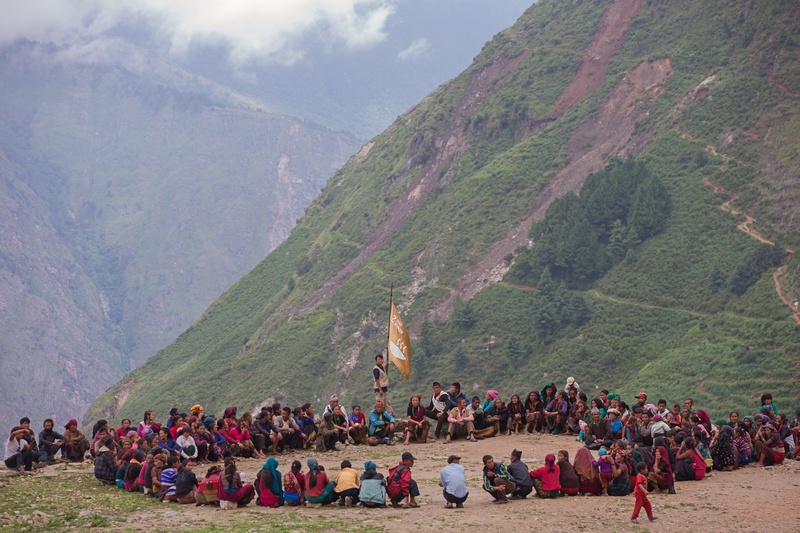 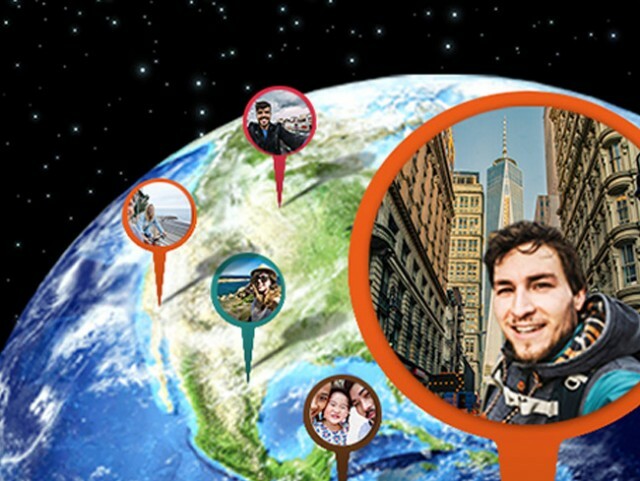 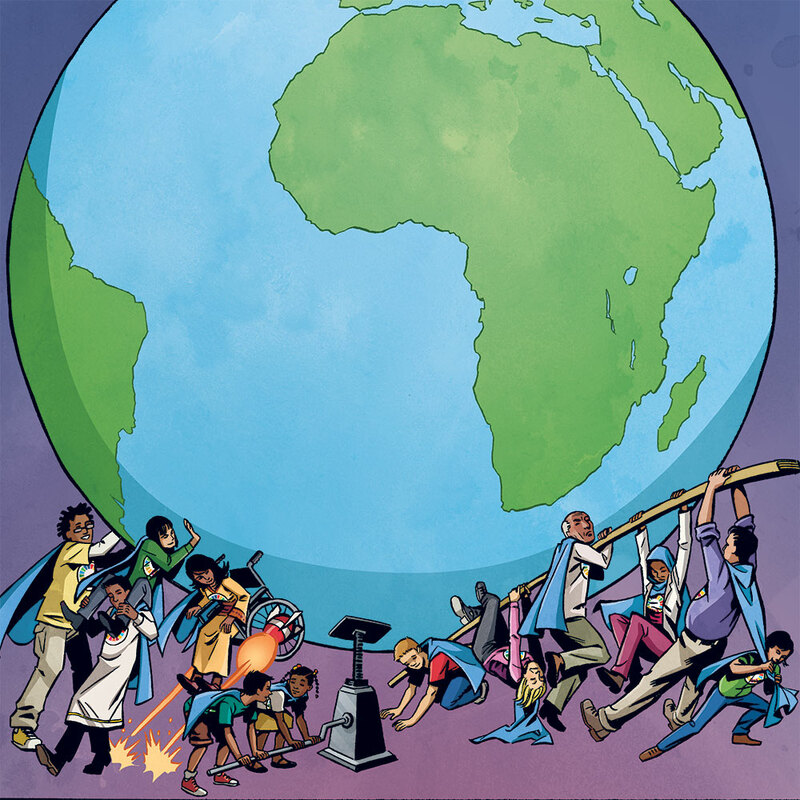 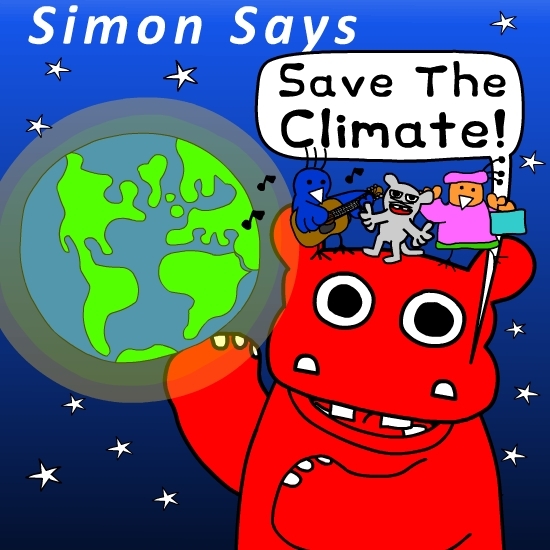 Which Global Goal is for you? Liu Bolin creates a special artwork 'The Future' to raise awareness of the UN's Global Goals to end extreme poverty and fight inequality, injustice and climate change. 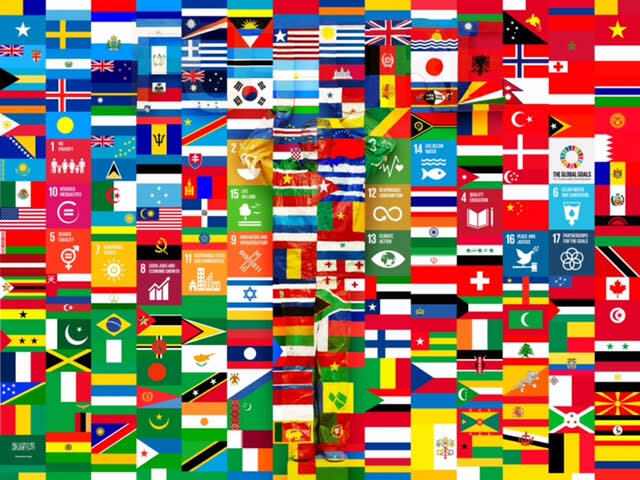 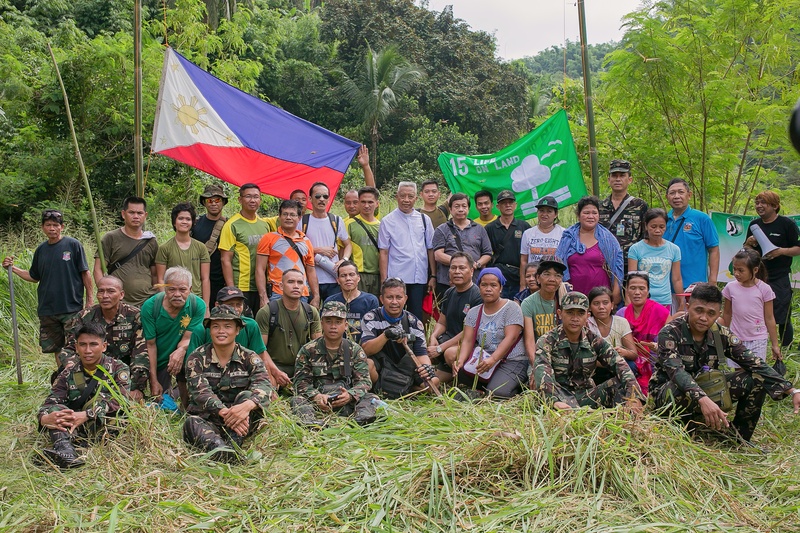 James Wasserman/Getty Images Assignment for The United Nations. 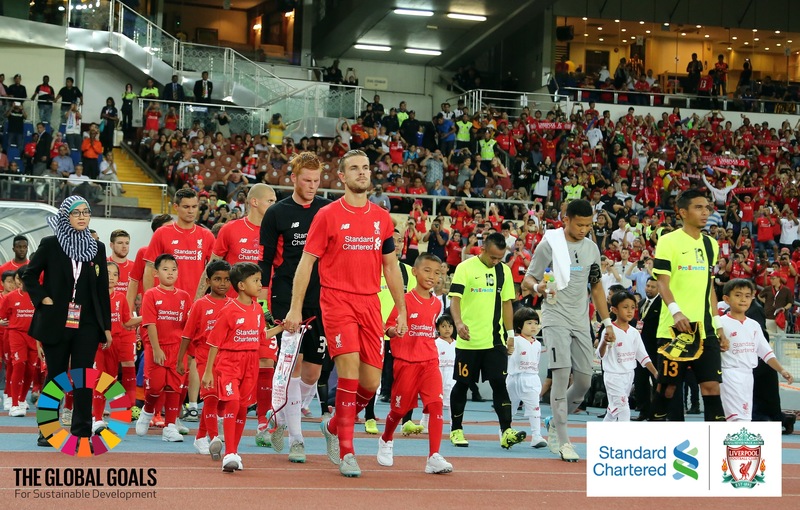 Mekfah, from the inner city slums of Bangkok gets to be Jordan Henderson's mascot in a Liverpool FC game. 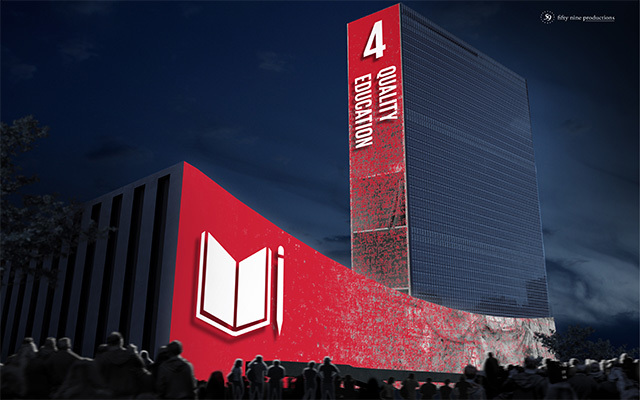 On the 21st - 23rd September a global goals projection will be realised onto the UN Headquarters in NYC in collaboration with 59 Productions. 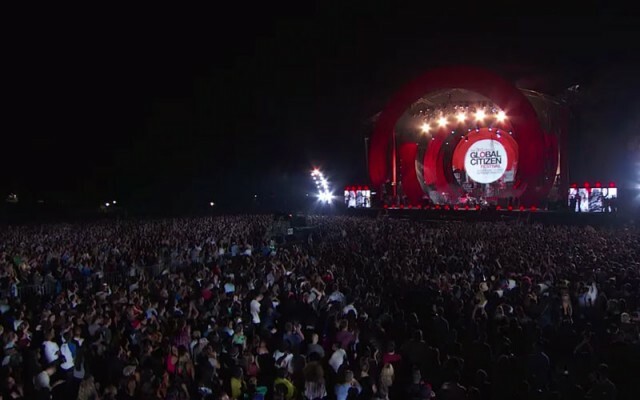 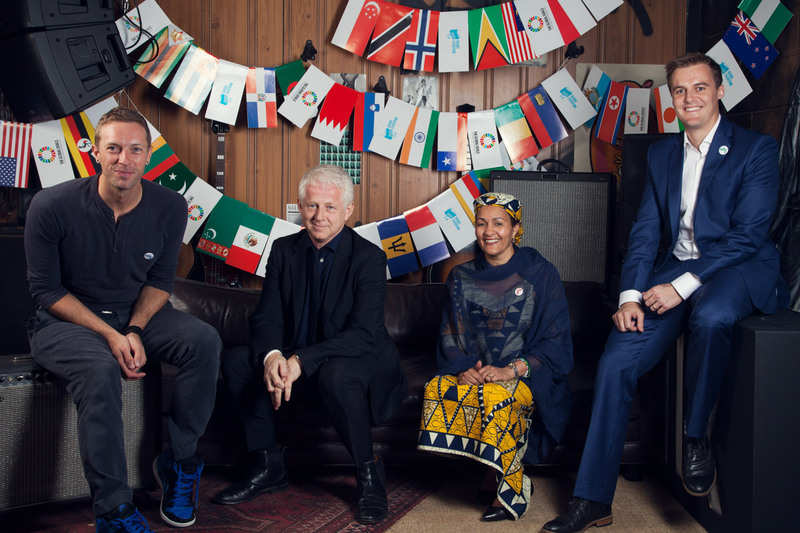 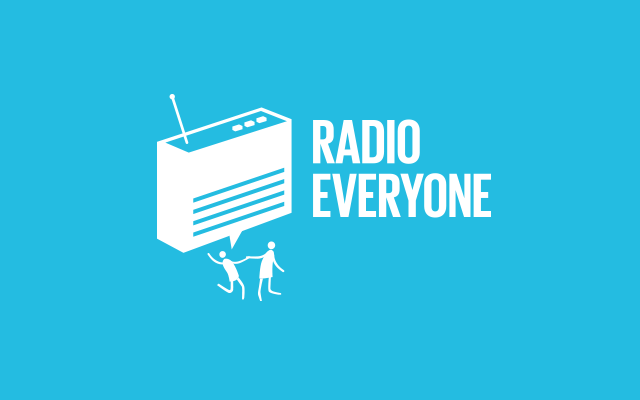 8th July, NYC: Chris Martin, Richard Curtis, Amina Mohammed and Hugh Evans, celebrate the launch of the 2015 Global Citizen Festival line up and partnership with Radio Everyone, part of the campaign to make the UN Global Goals for Sustainable Development famous. 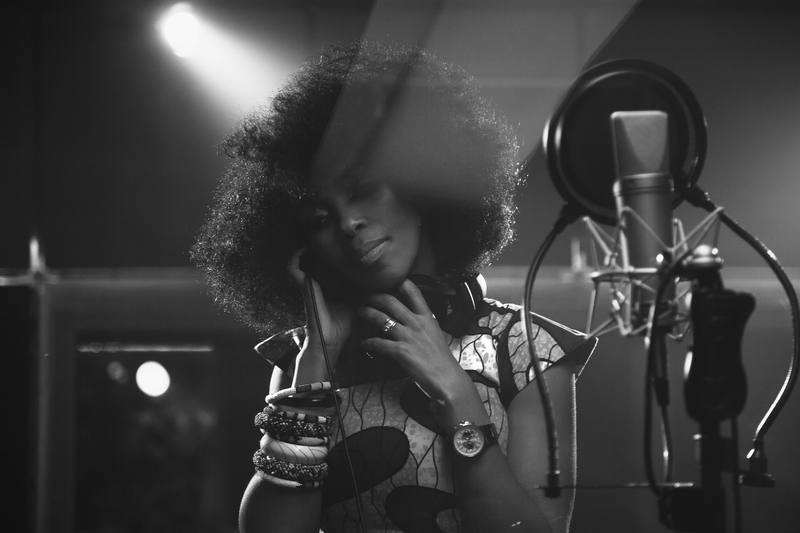 Taken at Milk studios by Pat B. Wright. 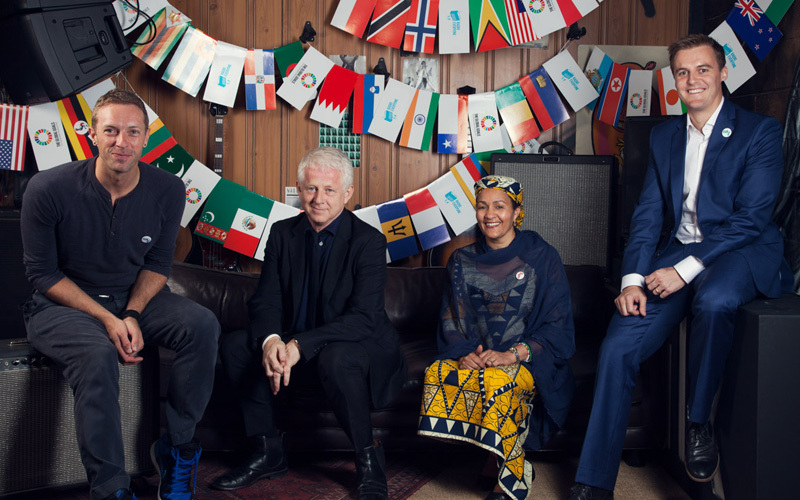 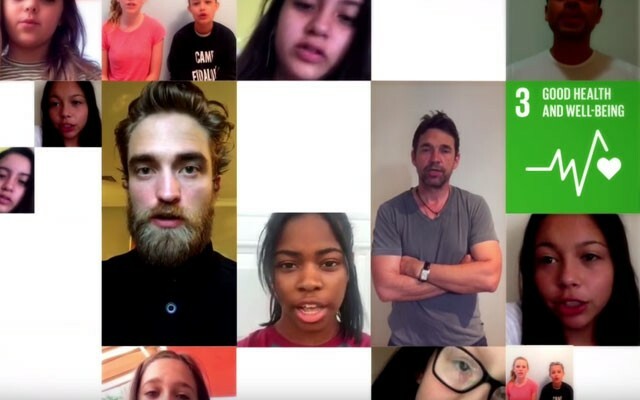 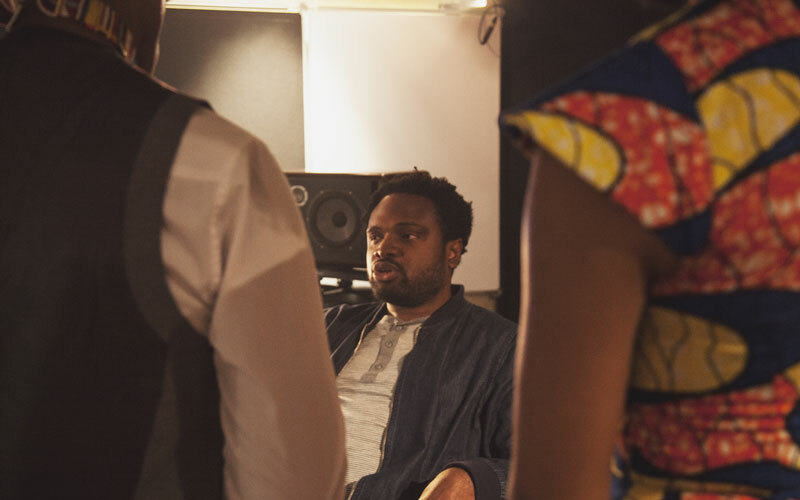 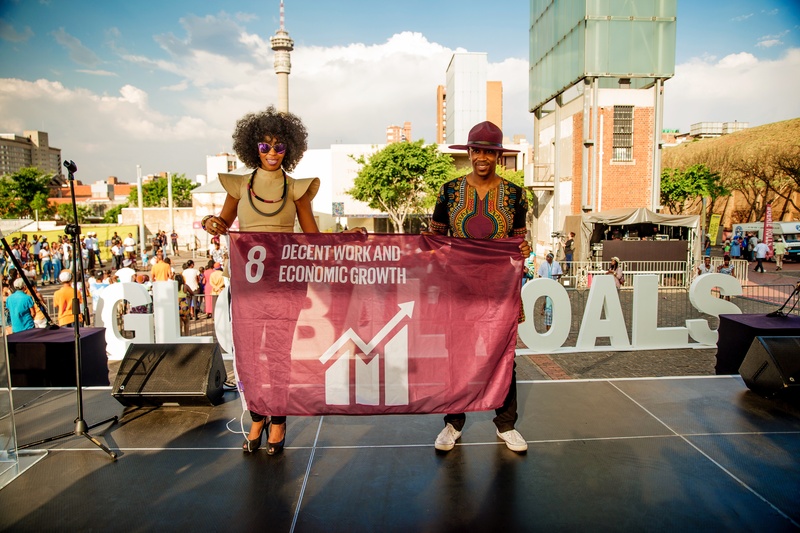 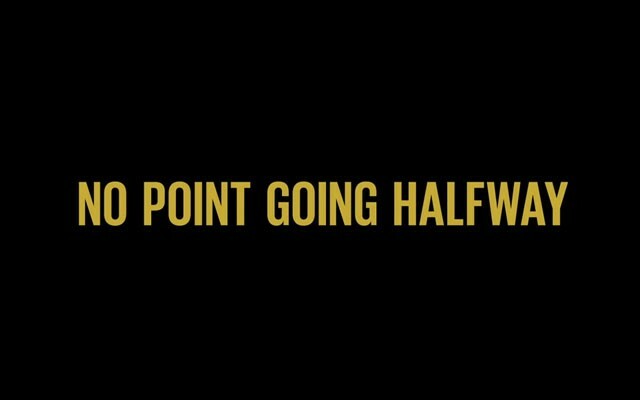 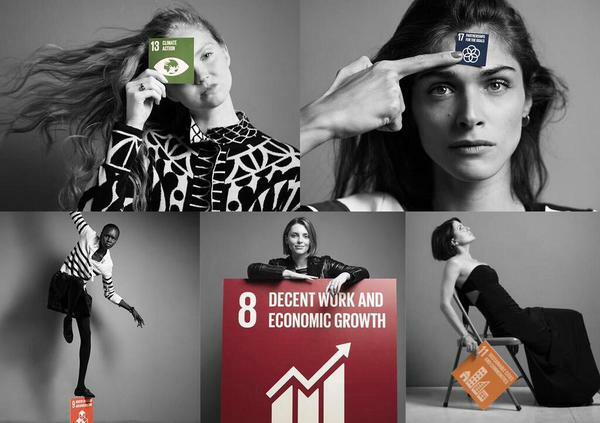 Chiwetel Ejiofor, Freida Pinto and Richard Curtis launch the first ever global cinema ad campaign at Cannes Lions to shine a spotlight on the #globalgoals which will be adopted at the UN this September. 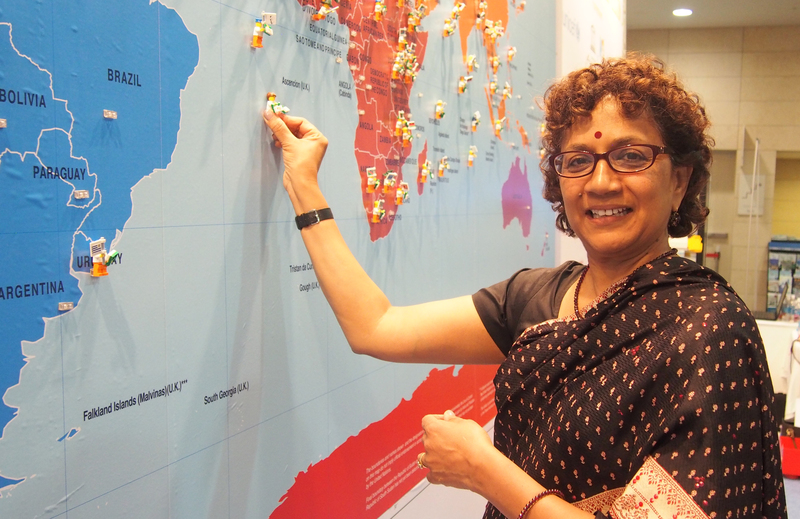 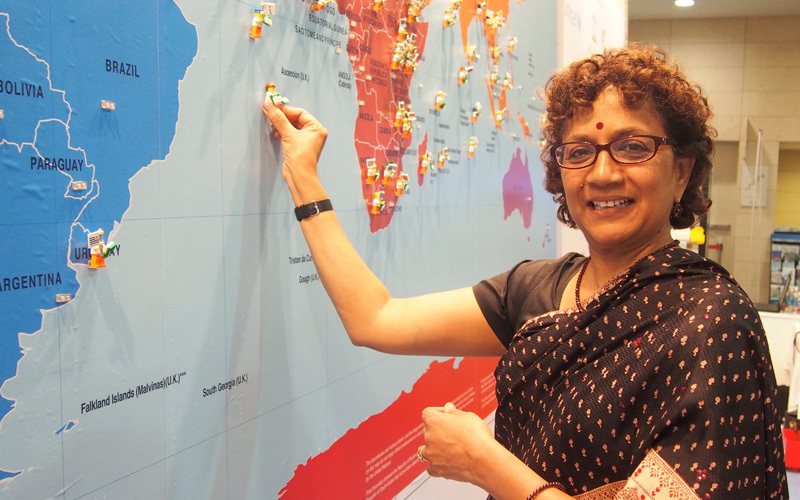 The Deputy Executive Director of UNICEF, Geeta Rao Gupta, signs up to the World’s Largest Lesson on behalf of UNICEF, who are the lead partner in delivering the lesson to schools around the world. 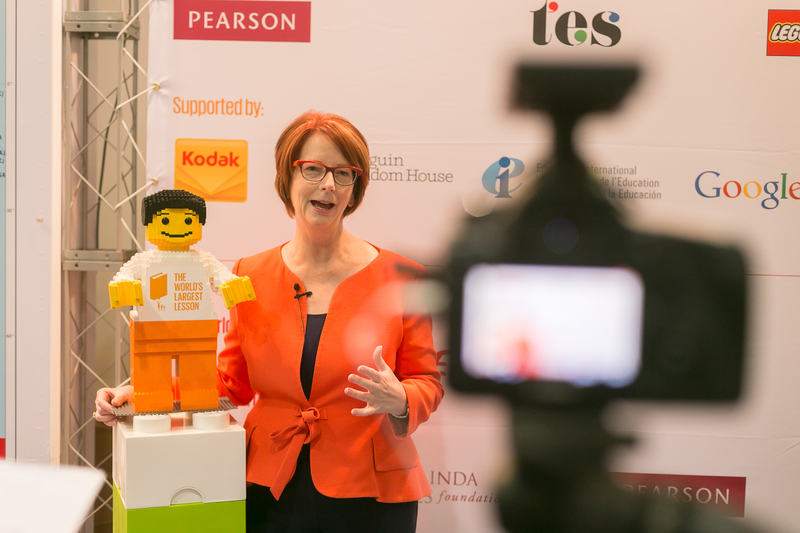 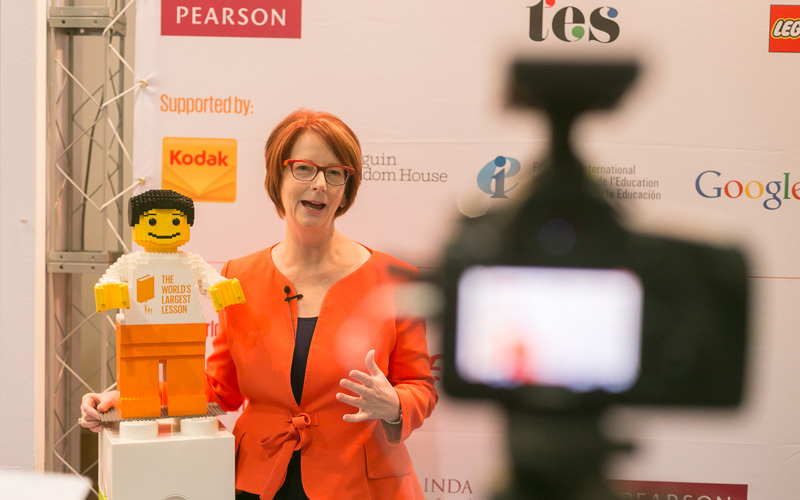 Julia Gillard, Chair of the Global Partnership for Education, committed to supporting the initiative and spoke to camera about the critical importance of children learning about the Global Goals. 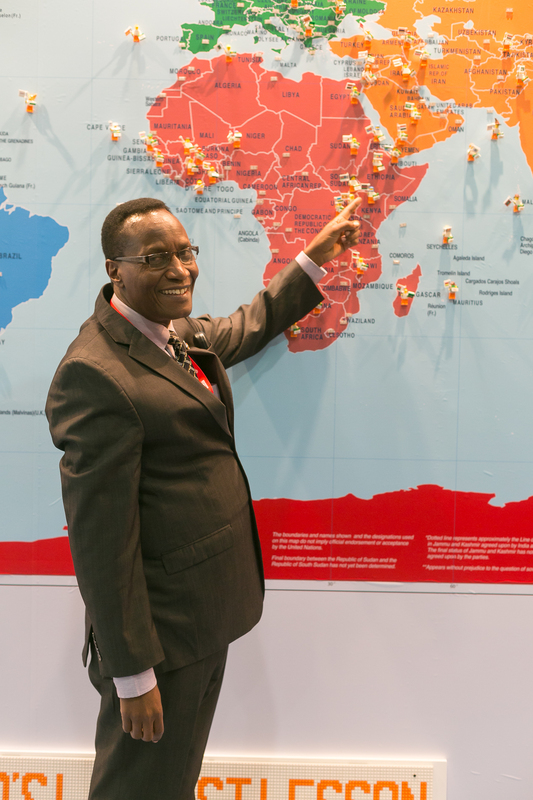 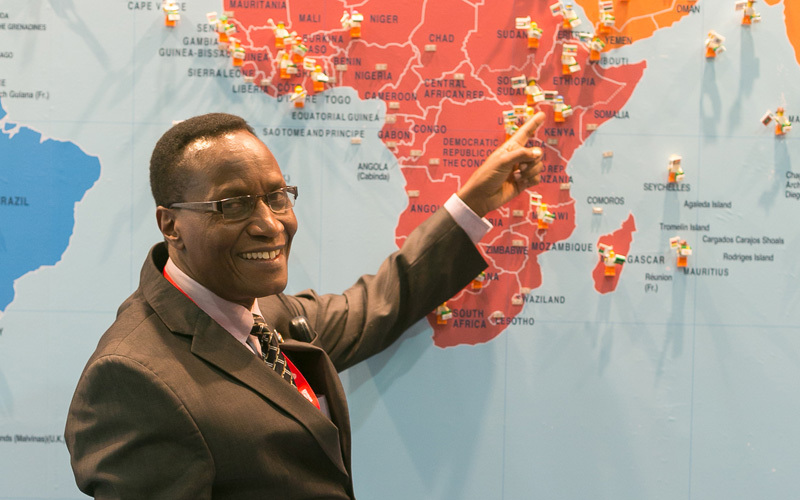 Prof. Jacob Kaimenyi, Minister of Education from Kenya, signed up schools across his country to take part in the World’s Largest Lesson and committed to teach a lesson on the global goals himself! 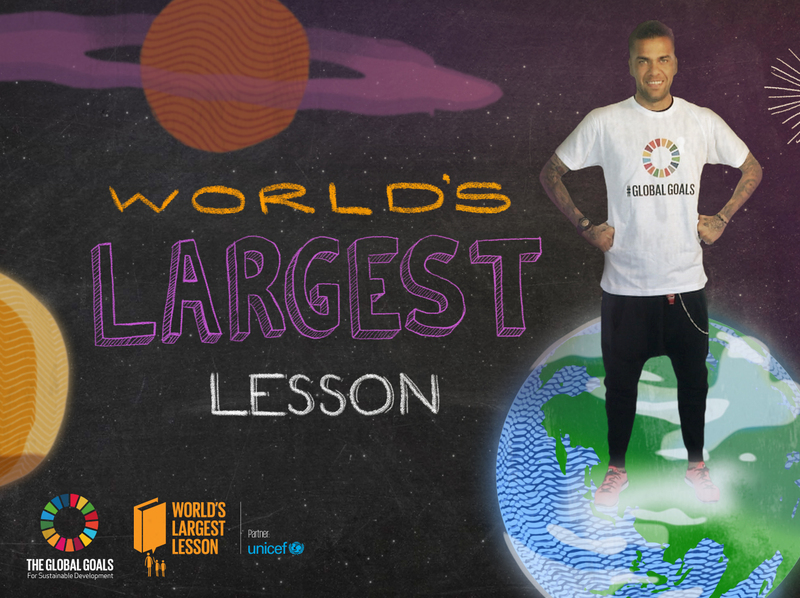 Neymar Jr and Dani Alves introduce the World’s Largest Lesson to the children of Brazil. 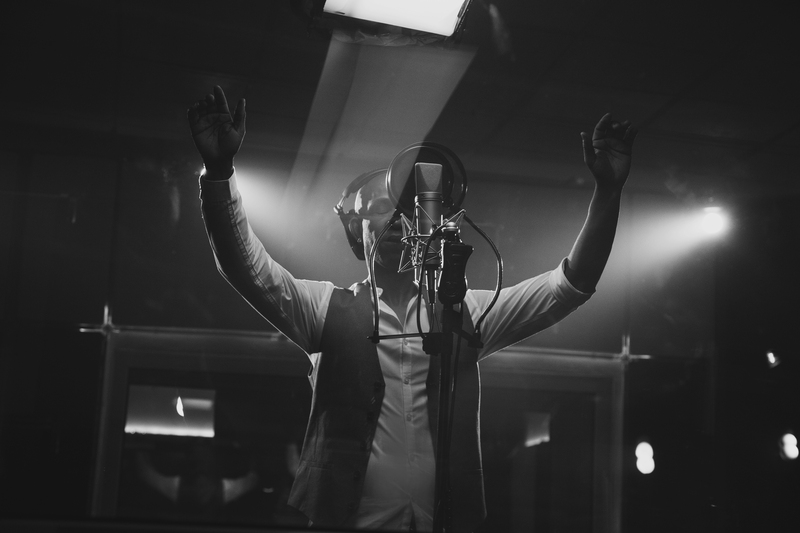 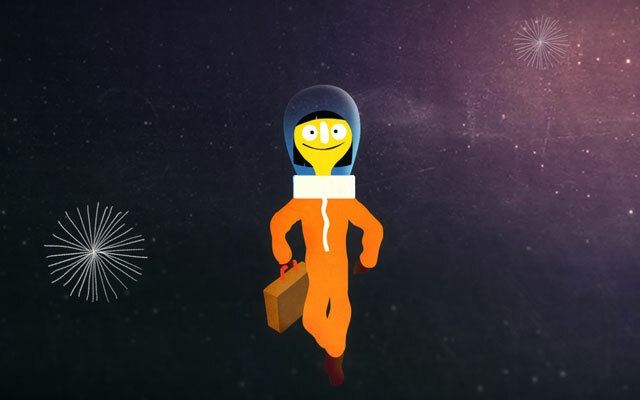 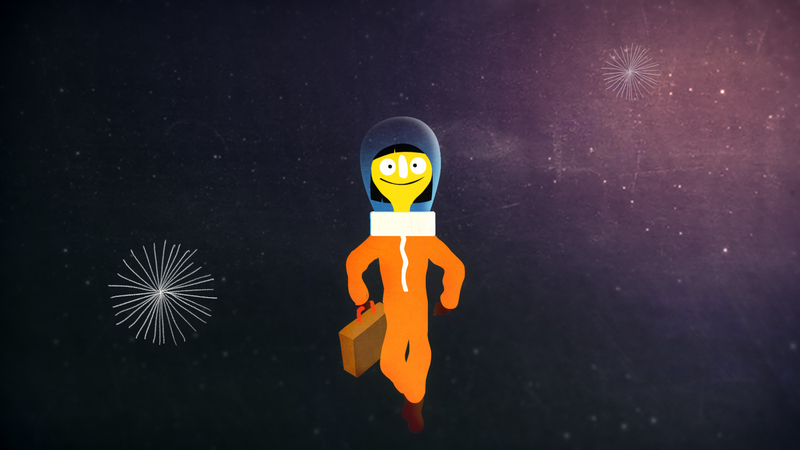 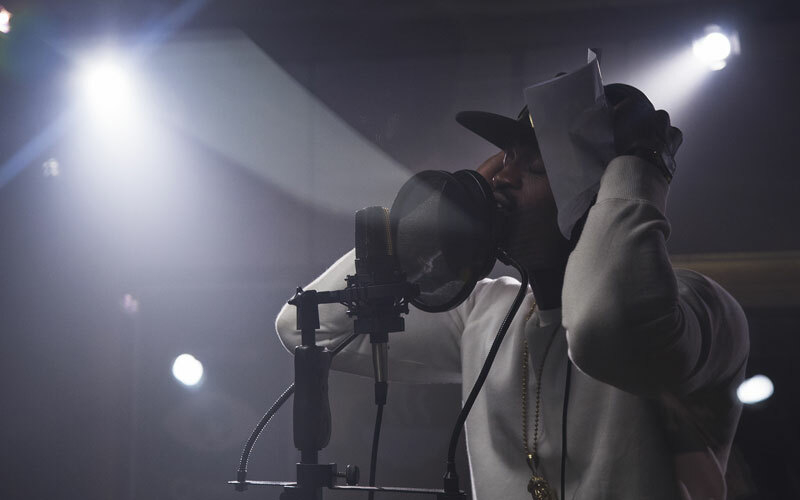 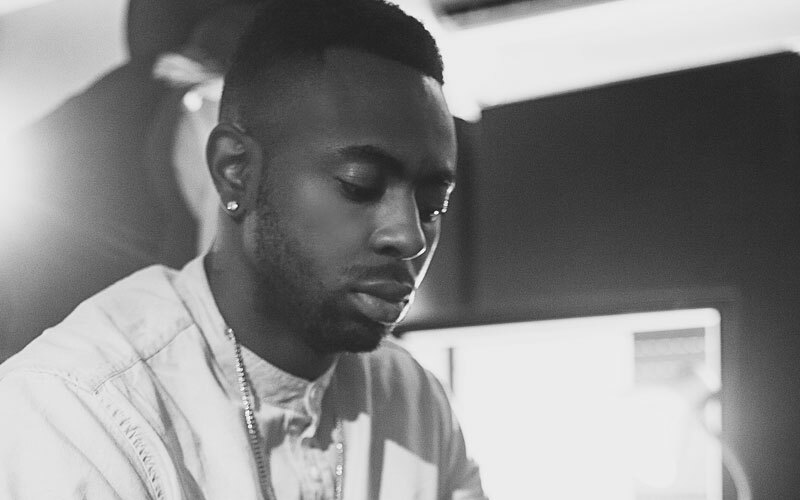 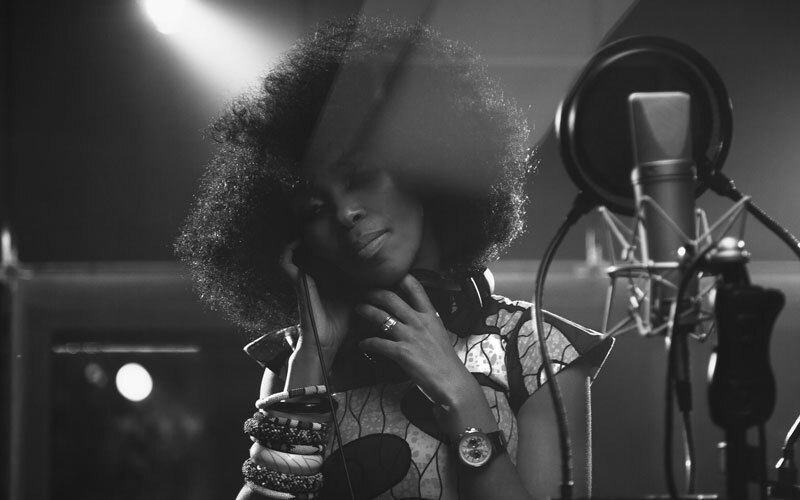 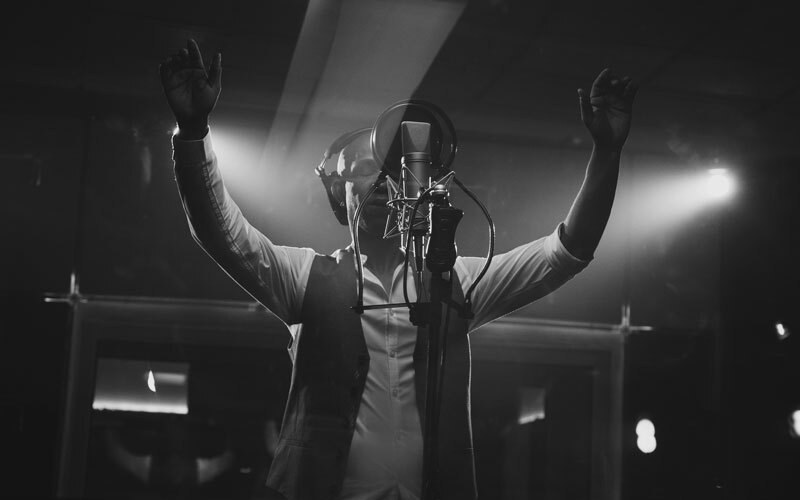 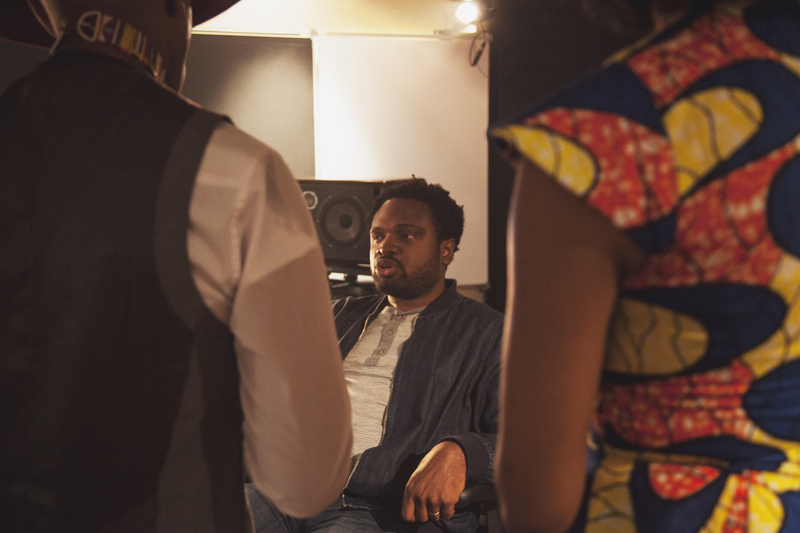 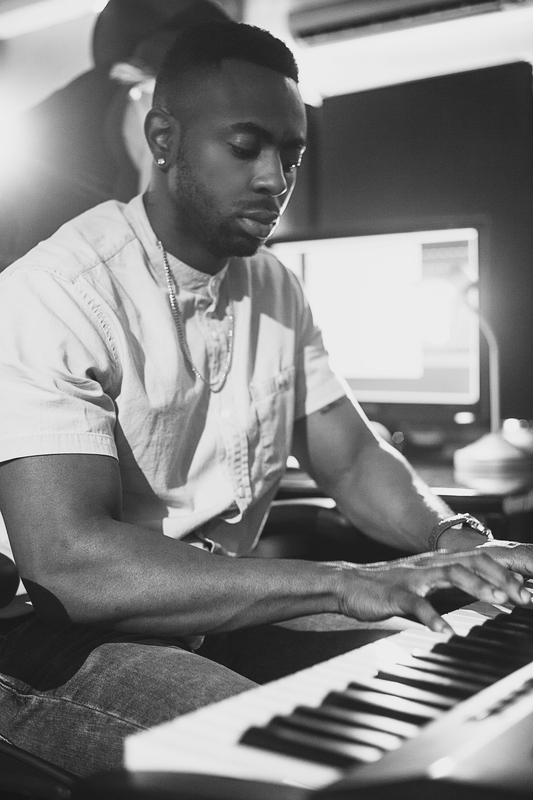 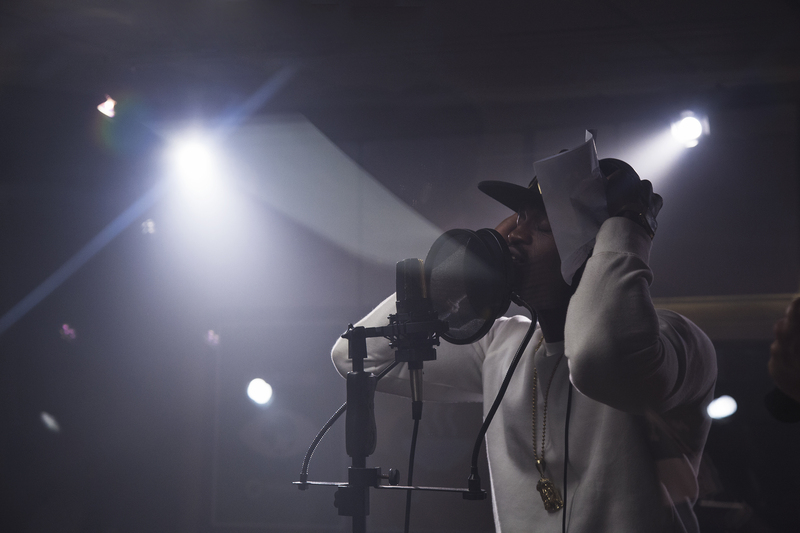 TELL EVERYONE – AFRICA’S FIRST-EVER CROWDSOURCED SONG.